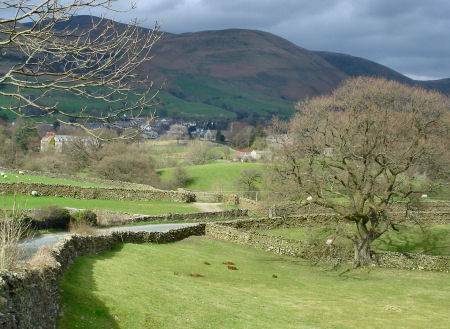 The characterful old market town of Sedbergh, known as England's 'book town' stands beneath the Howgill Fells on high ground above the meeting point of the Lune and Rawthey rivers. 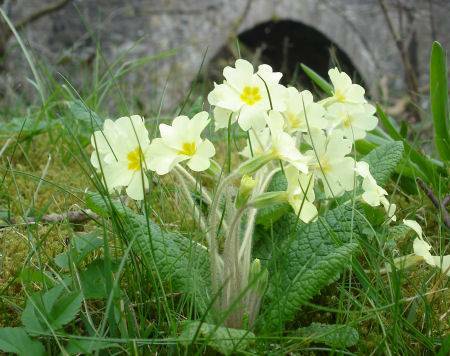 The town, which stands seven and a half miles (12km) east of Kendal, now lies in Cumbria, but is designated as part of the Yorkshire Dales National Park. 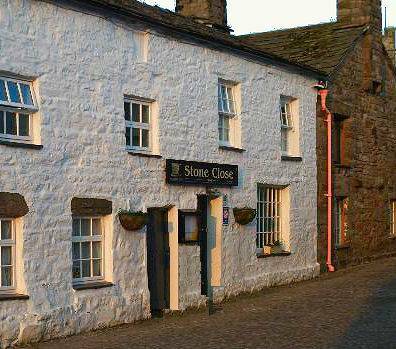 Sedbergh boasts a rich history which stretches back to Saxon times. 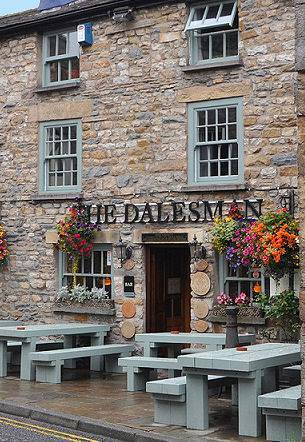 Mentioned in the Domesday Book, it was granted its market charter in the thirteenth century. Pronounced 'Sedber' the name is thought to derive from the Old Norse 'Set berg' meaning a flat topped hill. St Andrew's Church was built in Norman times, though restored periodically since then, it retains many interesting features, the large and colourful east window is particularly beautiful. 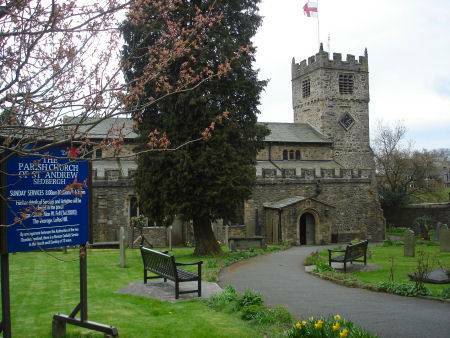 The church is probably the oldest building in the town and is pleasantly situated by playing fields and meadows. George Fox (1624- 1691), the founder of the Society of Friends or Quakers, preached in St Andrew's church in 1652, he referred to the church as a "steeple house, he also preached on nearby Firbank Fell, during his ministry in the north of England. George Fox also preached at the nearby Meeting House at Briggflatts. The building dates to 1675, giving it the distinction of being the oldest Quaker meeting house in the north of England. It still retains much of its original oak furniture. 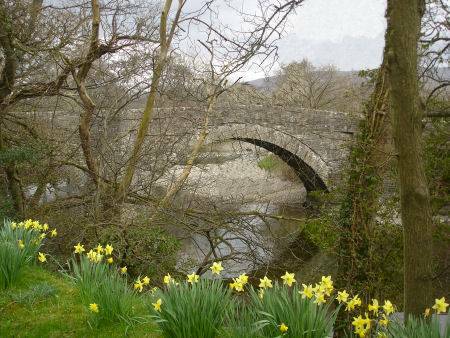 Sedbergh is noted for its famous public school, which stands in a highly attractive parkland setting on the outskirts of the town. 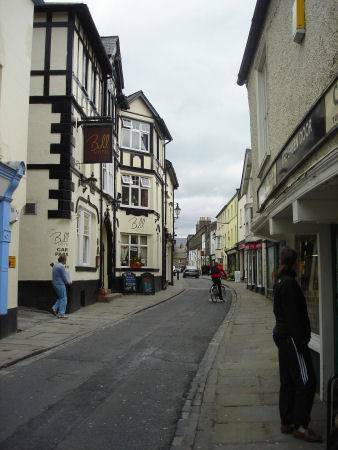 Elegant houses on Sedbergh's outskirts give way to a characterful narrow main street at its centre, which is lined with busy shops and pubs. Shops include a well stocked food store, outdoor clothing, a butchers, chemists, Post Office and Banks. 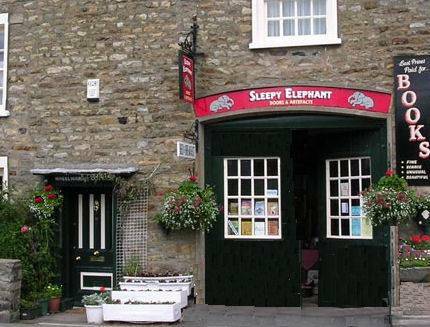 The Sleepy Elephant gift and book shop is housed in a medieval building. The name was inspired by a reference in A W Wainwright's book 'Walks on the Howgill Fells' where he describes the Howgills as "likened to a huddle of squatting elephants". Prince Charles Edward Stuart, known to history as 'Bonnie Prince Charlie' is reputed to have hid in a chimney in the building, during his retreat north during the 1745 Jacobite Rebellion. He is said to have then escaped in disguise with the pack horses that were carrying woollen goods produced in Weaver's Yard. There is there is an open-air market in the town which is held each Wednesday. Outside of the main shopping area, the town is dominated by its public school, which was founded in 1525. Just outside the town stands Castlehaw, a Norman motte and bailey castle constructed to counter Scottish invaders. The summit of Winder Fell, at 1551 ft (473 m) on a clear day offers superb views of the mountains of the Lake District, the Yorkshire Dales and to the south the Pennines, Dent and the Lune Valley stretching to Morecame Bay. *Commencing at the Joss Lane car park in Sedburgh, proceed along Joss Lane, turning right at the outdoor clothing suppliers. Pass through a farm gate and bear left along the farm track, avoiding the farm. Follow the track through a further gate and proceed along the path near Settlebeck Gill, pass through a further gate, reaching open fell. The main path to The Calf goes along the left bank of the gill but a smaller path descends crossing the beck and ascends the bank on the other side. *Continue up the hill, a wall gradually approaches the path from the right. The two join by a corner in the wall where it branches off east across the fell. Follow a grooved watercourse to your left which runs parallel to the gill then continue to the right up to the summit of Crook. *There are a number of paths from the summit of Crook towards Arant Haw. Follow one of these until you rejoin the main footpath to The Calf, high on the slopes of Arant Haw. Turn right and follow the track around the shoulder of Arant Haw and down to a col. Continue up the path, now alongside a fence, as it ascends to the summit of Calders, continue on on via further cols to The Calf and its triangulation column. *Retrace your steps to return.